The Mimi blouse pattern seems to be going down particularly well amongst Love at First Stitch readers. 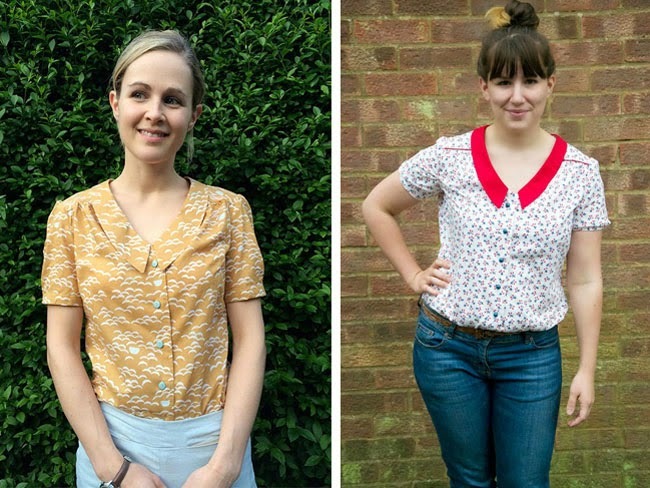 Lauren made this pretty version in mustard yellow bird print lawn, while Zoe added a contrast yoke and piping to hers. I love them! 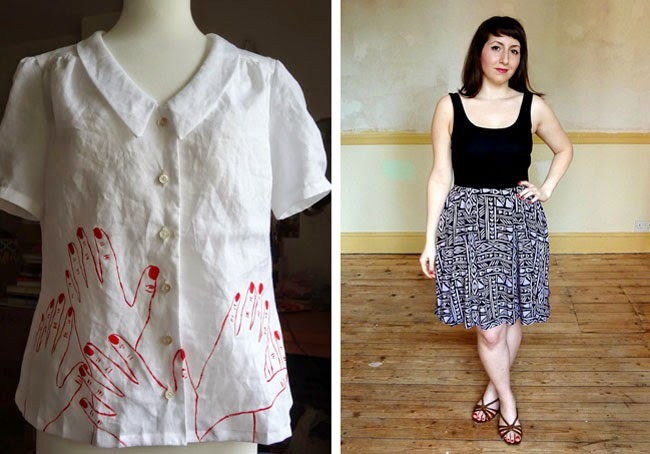 Indulge me here, because I couldn't resist showing you one more Mimi blouse - Marilla drew a hand print onto hers. Isn't it just stunning? This totally blew me away. 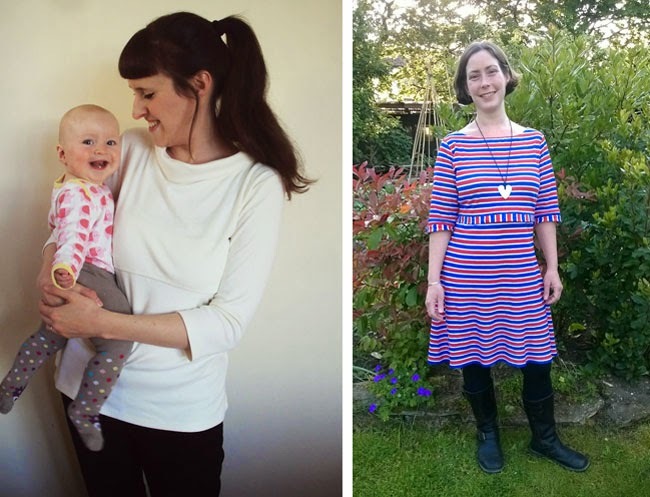 And Marie made her second Lilou dress, this time in a floaty viscose, which looks totally different to her first version in a more structured fabric. So pretty. Luana made two short sleeved versions of the Coco dress for Summer - take a look at her gorgeous sixties style houndstooth print Coco too. Stevie looks stunning in her emerald green Coco dress - such an incredible colour. And Jeanne's Maritime Coco is just perfection... I want! 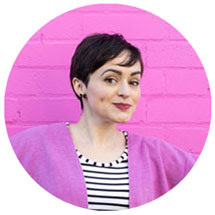 Louise made the Mathilde blouse in a gorgeous stripy fabric - she's wearing it here as a beach cover up! 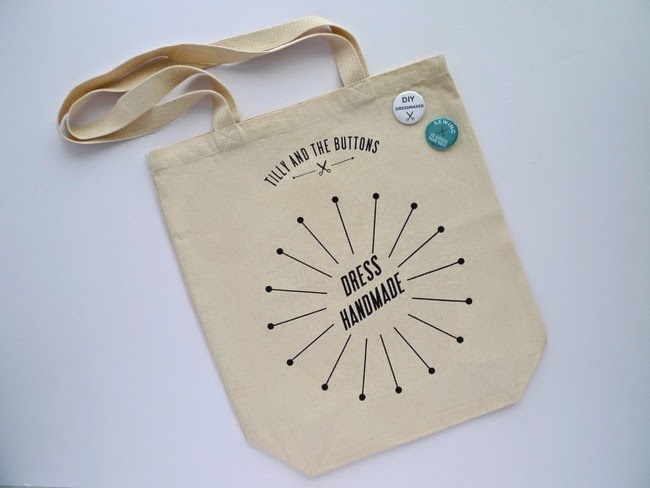 Take a look at her blog to see the amazing silver nautical knot buttons down the back. 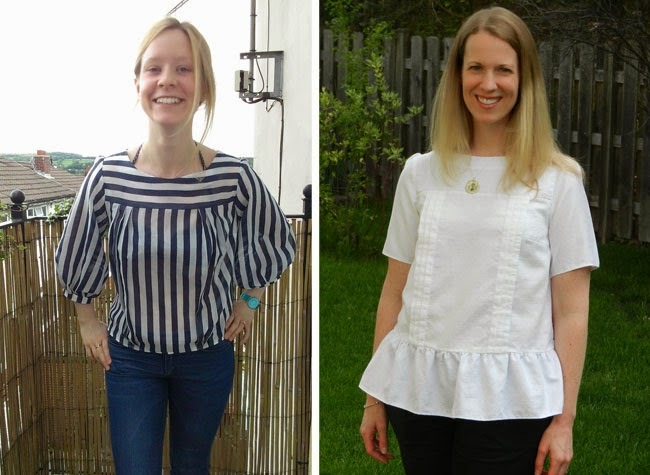 And how cute is Teri's Mathilde blouse hack? 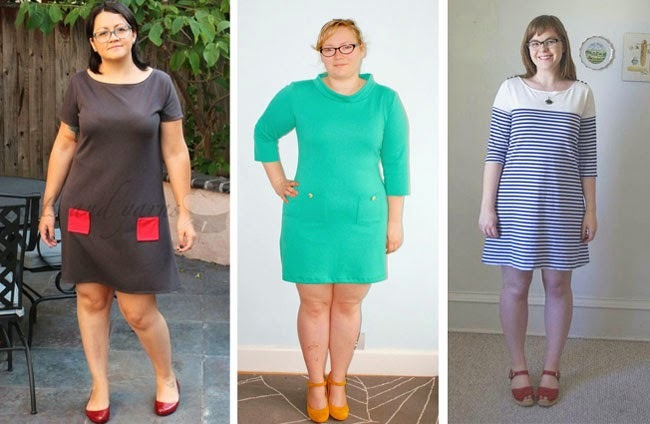 She shortened the sleeves and added a peplum. I'm very tempted to copy this! Zoe - seen here with mini model Dolores - shared a tutorial for how to hack the Coco pattern for breastfeeding. Great minds obviously think alike, as Kaili sent me a photo of her own nursing Coco dress the same week! 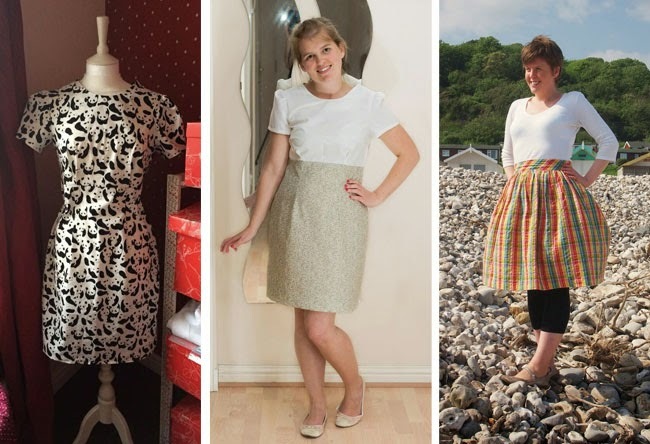 A few more from Love at First Stitch... How awesome is Heather's panda print Megan dress? I mean, it's a PANDA PRINT Megan dress! Ooh and a lady called Megan made the Megan dress too - she looks so pretty in it. 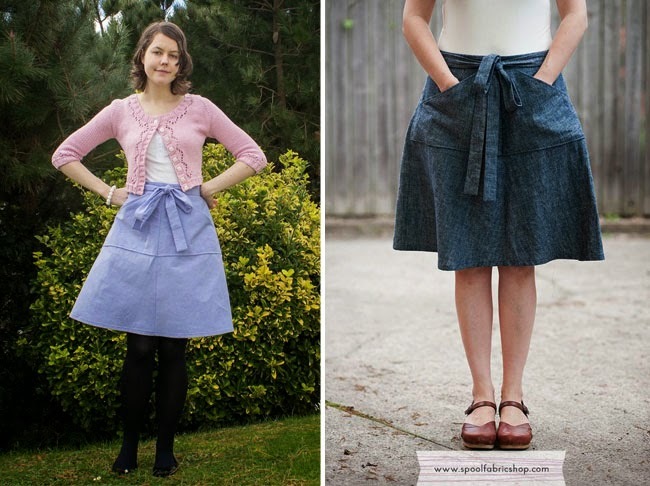 Ruth made the Clémence skirt in this summery seersucker - I love how she cut the waistband on the bias so the stripes (checks?) are diagonal. 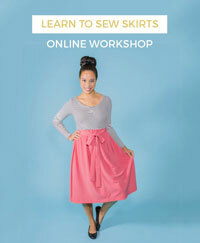 Jane made her second Delphine skirt in Liberty twill - just gorgeous! And Debi looks beautiful in her two-tone Lilou dress - love these colours. 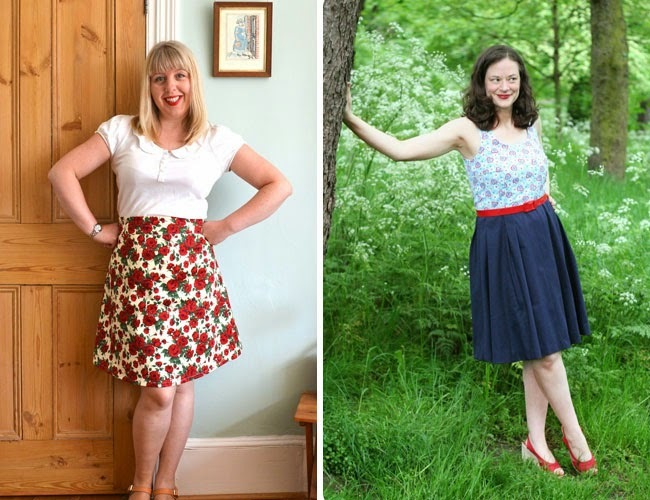 There are plenty more pics in the maker galleries on Pinterest - Love At First Stitch, Coco, Miette and Mathilde. Go take a look! Unfortunately I can't pin from Instagram (unless anyone knows a way of getting round this?). And not all images work well on Pinterest or my blog - large, bright, focused photos are bestest! By the way, thanks for all the bag-and-badge set orders I've had to do TWO emergency restock operations to meet the demand! A batch of orders went out yesterday and another load will go out today. Remember you've got until Thursday 4pm GMT to get in any bag, book or pattern orders before I take a few days' business break (any orders placed after then will go out on 24th June). Keep your maker gallery submissions coming in, you talented lot!